This isn’t my writing, but this website was prepared by my class: Environmental Science 340, World Regional Geography (2013). After studying the geography of three foreign countries, students were asked to describe their own. Here is their work. 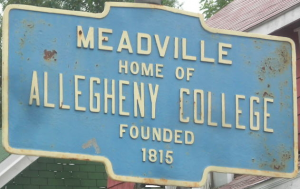 The Geography of Meadville.